If your classes are like mine, the day before Christmas vacation involves survival mode. Students are wild with excitement about the break. The classroom environment lacks focus and motivation. In strolls administration, checking out what’s going on around the school. Maybe they’re just antsy and excited for the break, too? Good thing you are embracing the atmosphere and engaging students in a fun geometry review lesson! 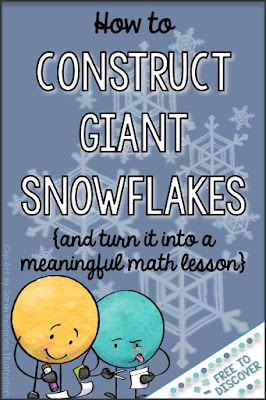 Constructing giant snowflakes is a hands-on way to keep students busy – and learning – on a notoriously wasted day. Students sit in groups of 3. Each group needs 6 pieces of computer paper, scissors, tape/stapler, single hole puncher, yarn/string, and a paperclip. 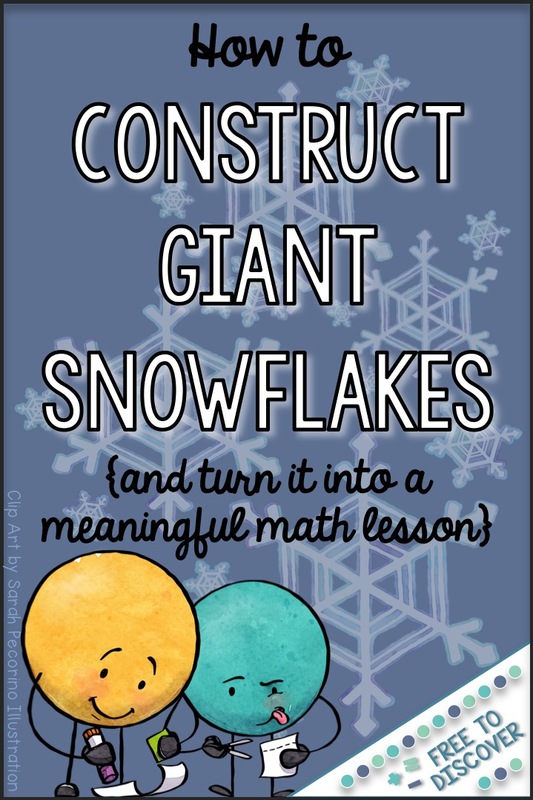 Lead your students through the steps of constructing a giant snowflake. Along the way, ask students to classify shapes according to their attributes and ask other geometry-related questions as appropriate for the age group of the students you teach..
Students are engaging in active learning while they review geometric concepts.